After many years of riding bicycles in all four seasons, it’s the winter riding that presented the biggest learning curve. Often it was the smallest things which took the longest to figure out. Keeping my hands and feet warm was the biggest barrier to being able to not only survive winter rides, but really enjoy them. It took 4 to 5 winters of riding everyday to get my inventory of gloves, mitts and boots figured out. Meaning, figuring out what worked for me. Everyone is different. What works for me may not work for you, and vice versa. Right away I figured out one thing. When the temperature drops below freezing it’s best not to start out with cold gloves and boots/shoes. I’d been keeping all my outerwear in the basement of the house I was renting. The temperature in that unfinished basement averaged about 55F degrees in the winter. That meant the gloves and boots I was putting on were also at 55F degrees. My feet and hands would struggle to hold on to any warmth on my 6 mile commute. The rental house had hot water heat and old cast iron radiators. When we got up in the morning we’d turn the heat up and those radiators would get hot. I started placing my outwear and boots on the radiators first thing in the morning. By time I needed to get dressed to leave they would be toasty warm. What a difference it made keeping my hands and feet warm during my commute when I started with warm gear. Later we bought a house with forced air heating. In this house I’d place my outwear and boots in front of a heat register when I got up in the morning. and let the blowing hot air warm them. Nowadays I get all fancy with a boot dryer. 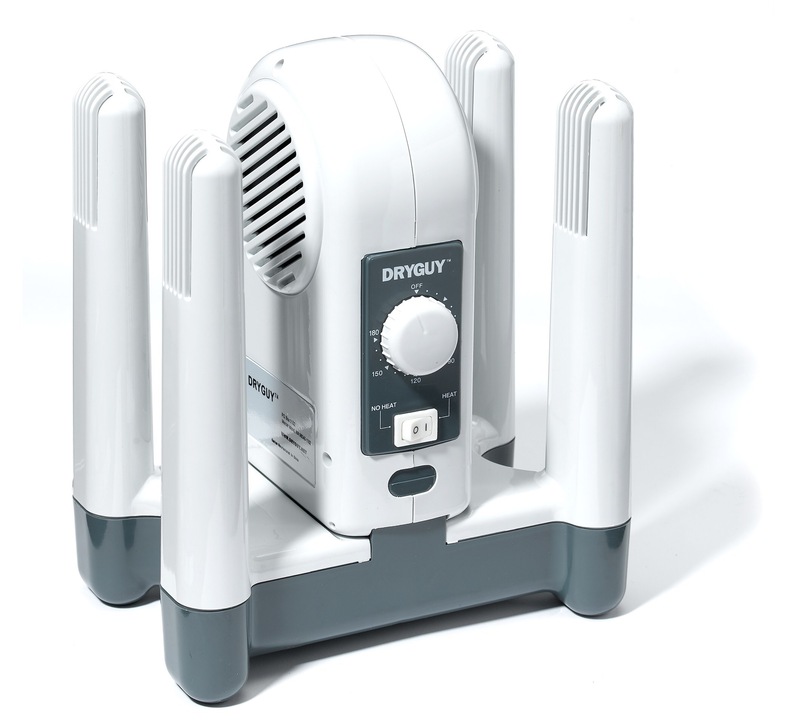 I bought a Dry Guy Boot Dryer from REI, like the one above. I originally bought it to dry wet gloves and boots. I soon discovered that the warm air it circulates to dry things also works as a warmer. Now, whenever I head out into the cold on a bicycle, I place a pair of gloves and a pair of boots on the Dry Guy and let them warm up for 30 minutes before I leave the house. It works great. Always try to warm your gear before heading out. Then you don’t expend energy and your own heat trying to warm your cold gear. 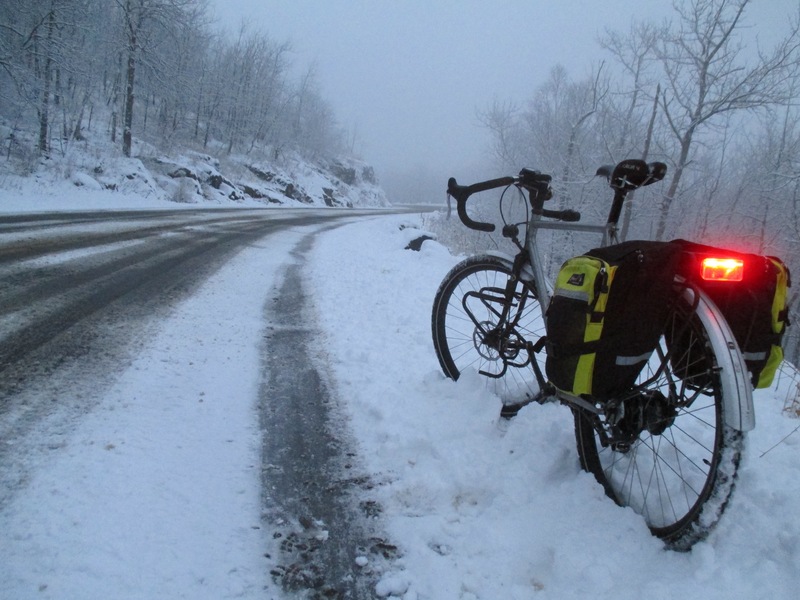 Next Article Weekend report: First snowy rides of the season. All good points. Of course I deal with it differently, especially after I moved into my later decades. I leave for the Rio Grande Valley on January 1. Stay warm. South for the winter sounds like an excellent strategy for maximum warmth. I do this also plus leave my helmet inside, that way I am warm from head to foot, heading out the door, which makes my 5-mile commute a fairly toasty affair. I’ve noticed that my teenagers are also storing their helmets inside the house – and they are only pedaling up to one mile! Yep, even me. I know I only have a scaled-down sort of cold down here, but I have learned that a pre-heat strategy is helpful for hands, feet, and ears. Sometimes, I put on all my outdoor clothes a few minutes before stepping out to make sure my other layers are a little pre-heated as well.